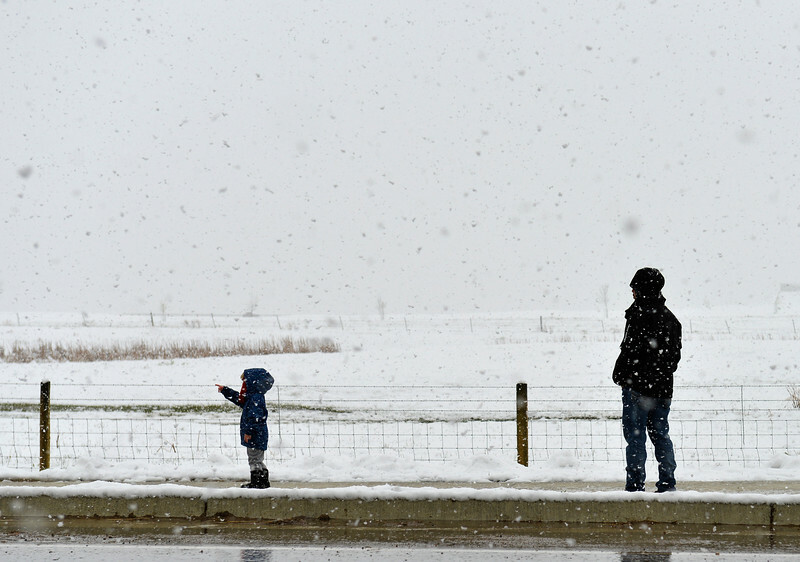 Three-year-old Kaizen Trujillo and his dad Codie Trujillo walk up W. 5th street as snow falls around them Thursday afternoon. 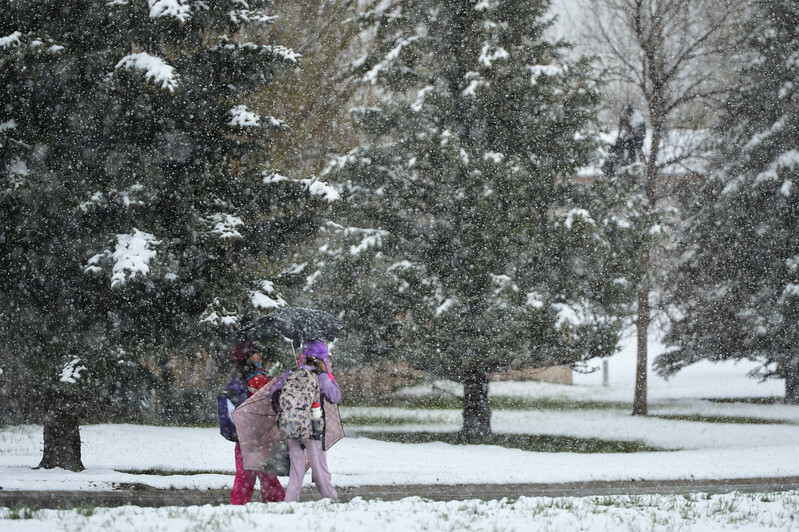 Children walk home from school as snow falls Thursday afternoon in Sheridan. 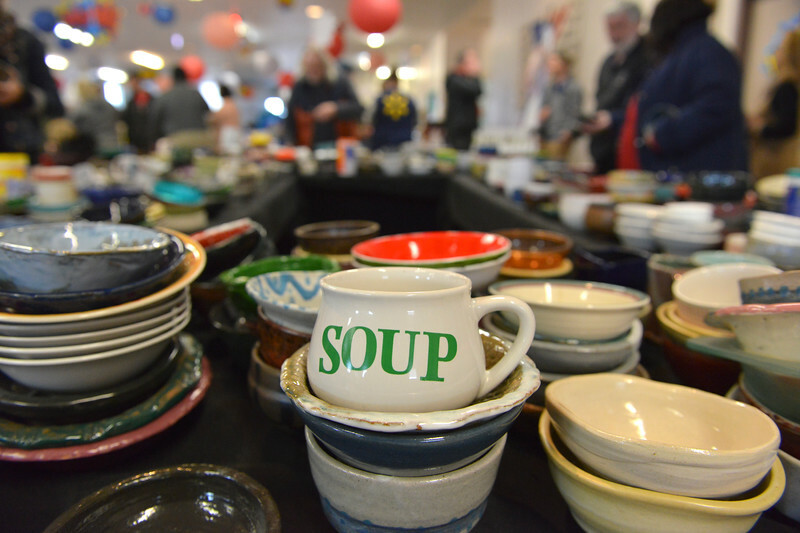 Various bowls are displayed for guests to pick up during the “Filling and Empty Bowl” VOA soup fundraiser at the Sheridan County Fairgrounds Exhibit Hall. The annual event supports homeless services in Sheridan operated by Volunteers of America of the Northern Rockies. 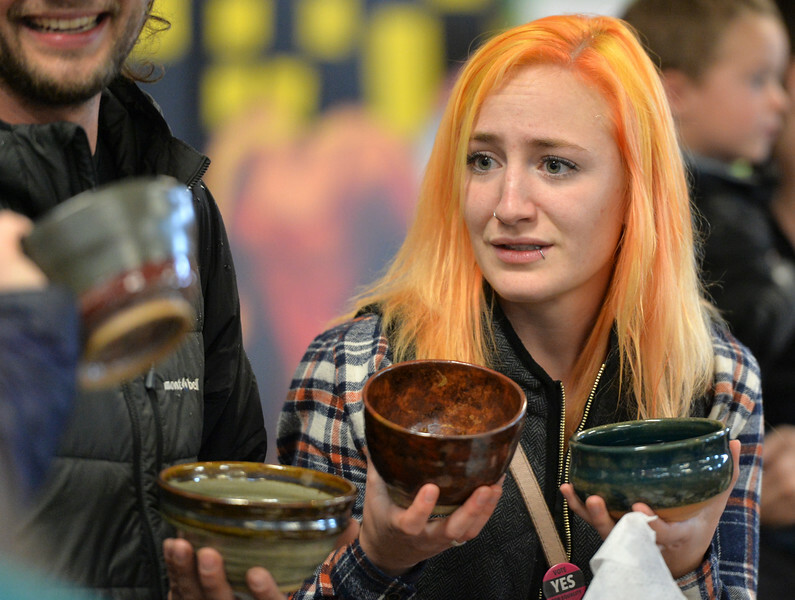 Erin Kensey is faced with a dilemma as she tries to choose her favorite bowl during the “Filling and Empty Bowl” VOA soup fundraiser at the Sheridan County Fairgrounds Exhibit Hall. The annual event supports homeless services in Sheridan operated by Volunteers of America of the Northern Rockies. 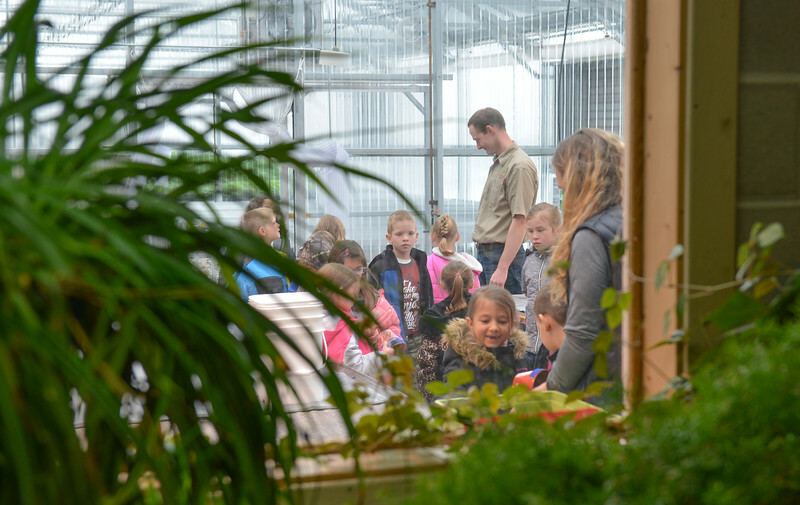 Coffeen Elementary first-grade students visit Holly Seed during a field trip Friday morning. Students toured the greenhouse and planted cucumber seeds into pots to bring back to their classrooms. 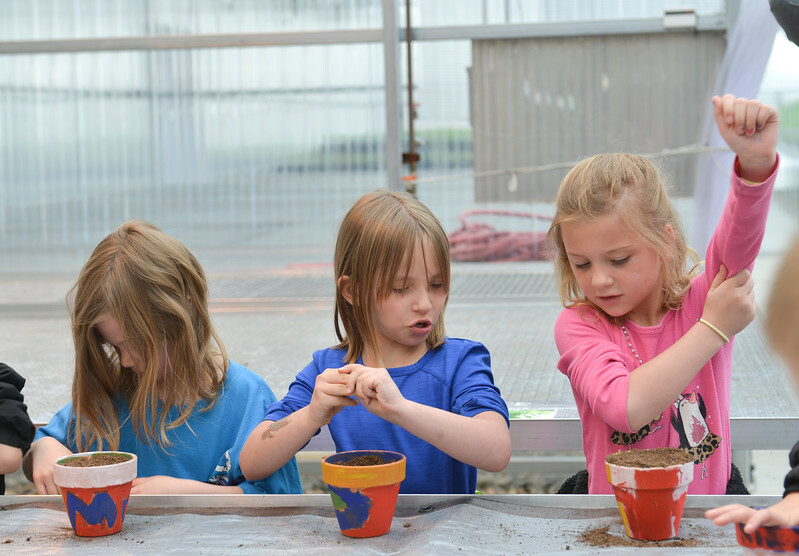 Coffeen Elementary first-grade students, from left, Kayley Anderson, Rebecca Crabtree and Sophia Watters fill their pots with soil during a field trip at Holly Seed Friday morning. Students toured the greenhouse and planted cucumber seeds into pots to bring back to their classrooms. 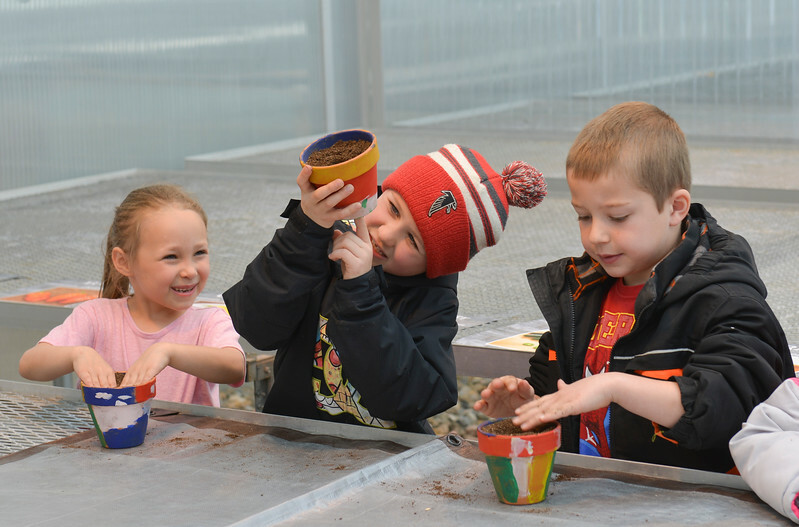 Coffeen Elementary first-grade students, from left, Emily Traylor, Jackson Hansen and Lucas Nielsen place seeds into their pots during a field trip at Holly Seed Friday morning. Students toured the greenhouse and planted cucumber seeds into pots to bring back to their classrooms. 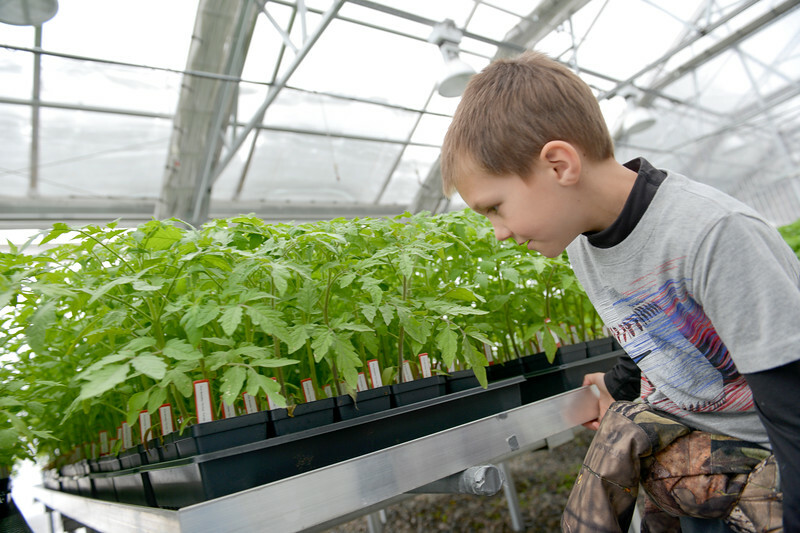 Coffeen Elementary first-grader Colter Hoyt explores the greenhouse during a field trip at Holly Seed Friday morning. Students toured the greenhouse and planted cucumber seeds into pots to bring back to their classrooms. 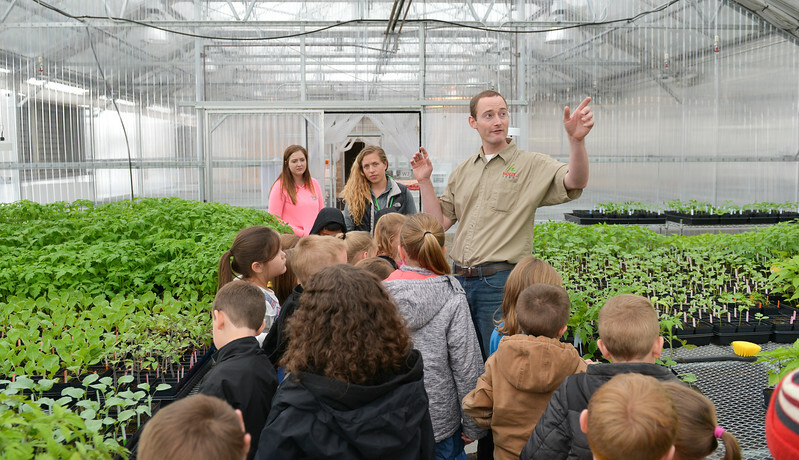 Holly Seed employee Derek Schreinhert explains the function of the greenhouse to a group of Coffeen Elementary first-graders during a field trip at Holly Seed Friday morning. Students toured the greenhouse and planted cucumber seeds into pots to bring back to their classrooms. 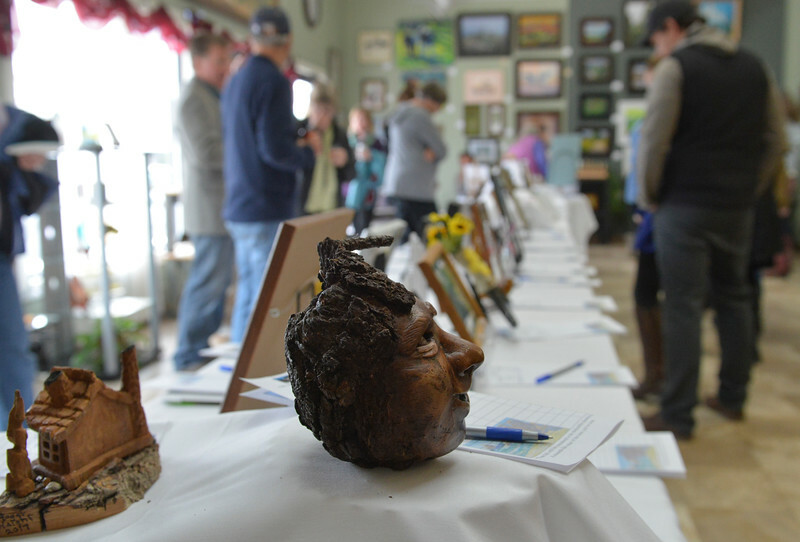 Lola Pheasant bids on art during the Gala for the Miniature Art Auction Friday at Expression Art Gallery on Broadway. 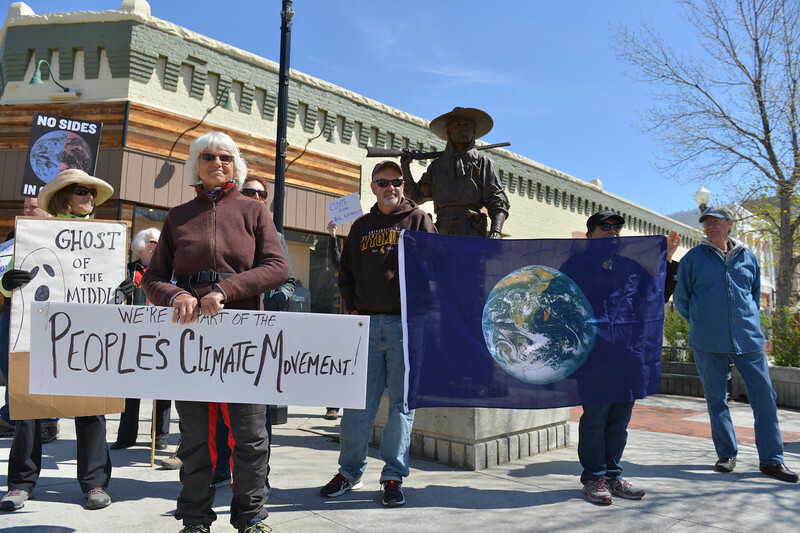 The fundraiser supports the Wyoming Wilderness Association, a nonprofit conservation organization. 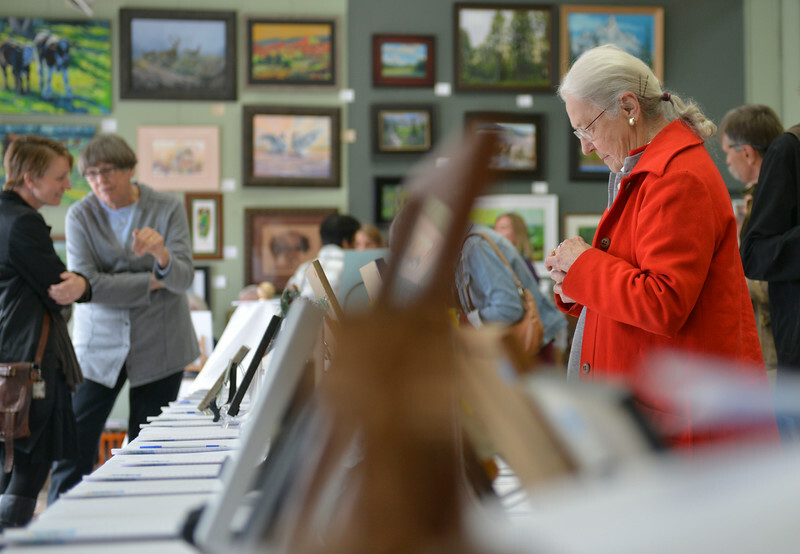 Visitor bid on art during the Gala for the Miniature Art Auction Friday at Expression Art Gallery on Broadway. 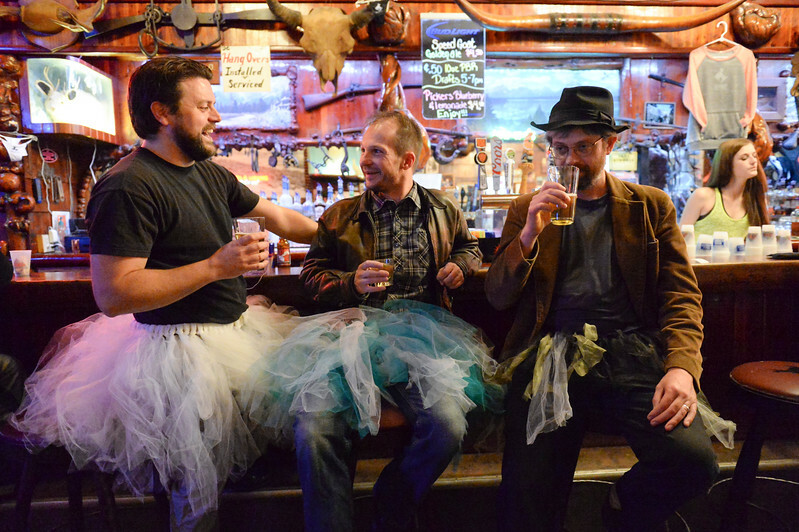 The fundraiser supports the Wyoming Wilderness Association, a nonprofit conservation organization. 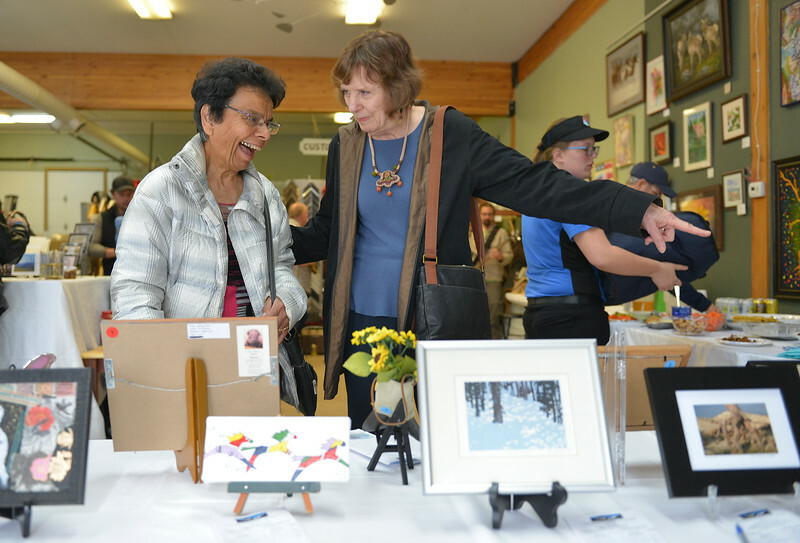 Bernie Barlow directs her gaze to a piece of art pointed out by Kay Wallick during the Gala for the Miniature Art Auction Friday at Expression Art Gallery on Broadway. The fundraiser supports the Wyoming Wilderness Association, a nonprofit conservation organization. 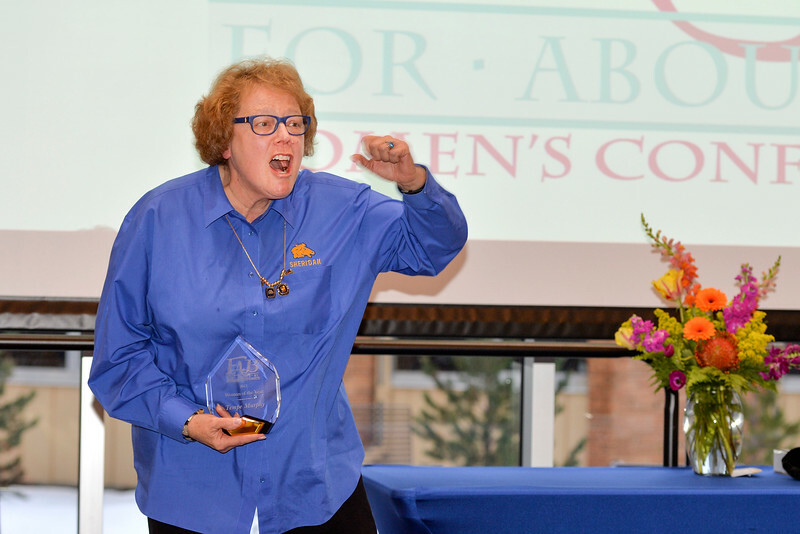 Tempe Murphy yells “Go Broncs” after accepting the Woman of the Year award during the 2017 FAB Women’s Conference Friday at the Sheridan College Whitney Atrium. Murphy was honored along with nominees Carrie Sisson, Sonja Caywood and Marta Ostler. 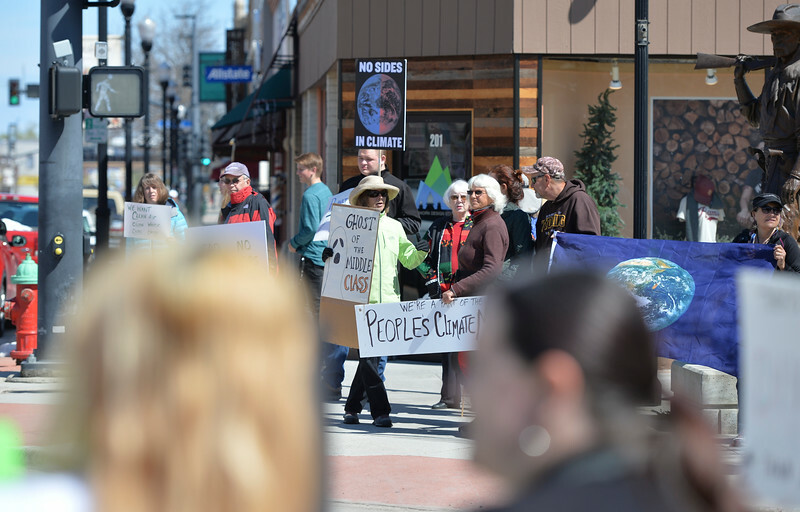 Locals protest on Sheridan’s Main Street on the 100th day of President Donald Trump in office. 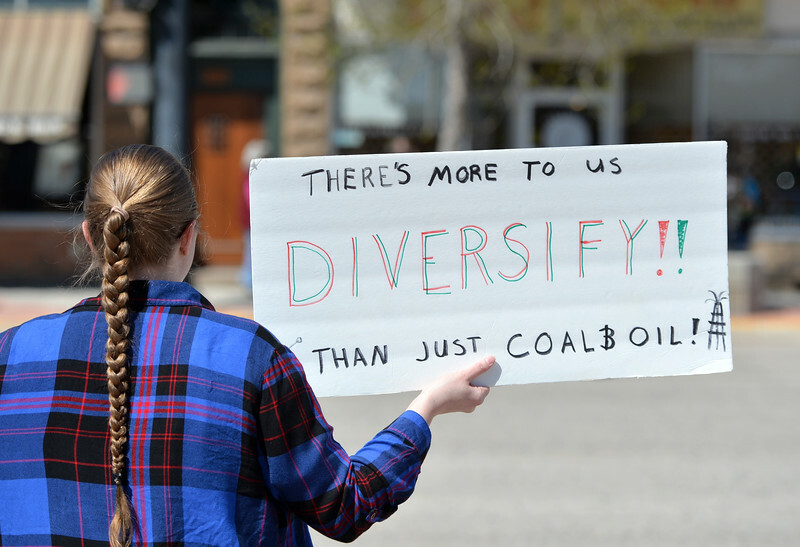 Protests were organized across the nation for Trump’s policy on Climate Change and other environmental issues. 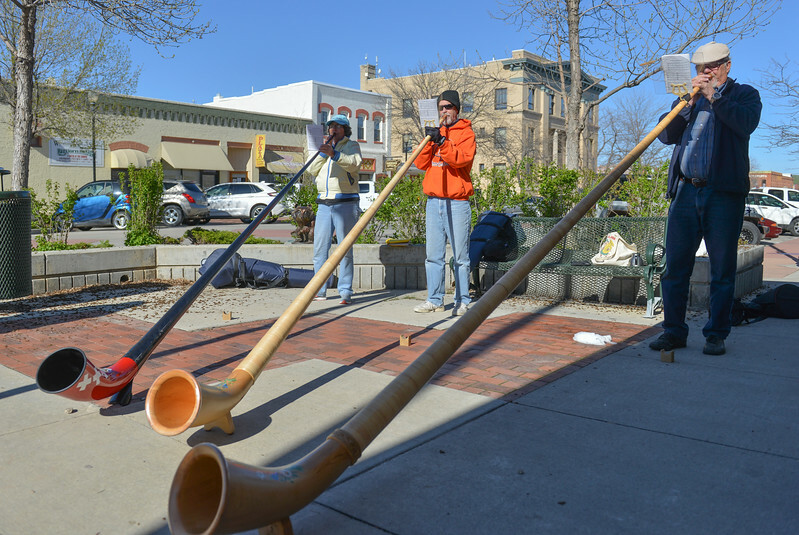 The Big Horn Alphorns play music on the corner of Main Street and Grinnell Plaza Saturday evening in Sheridan. 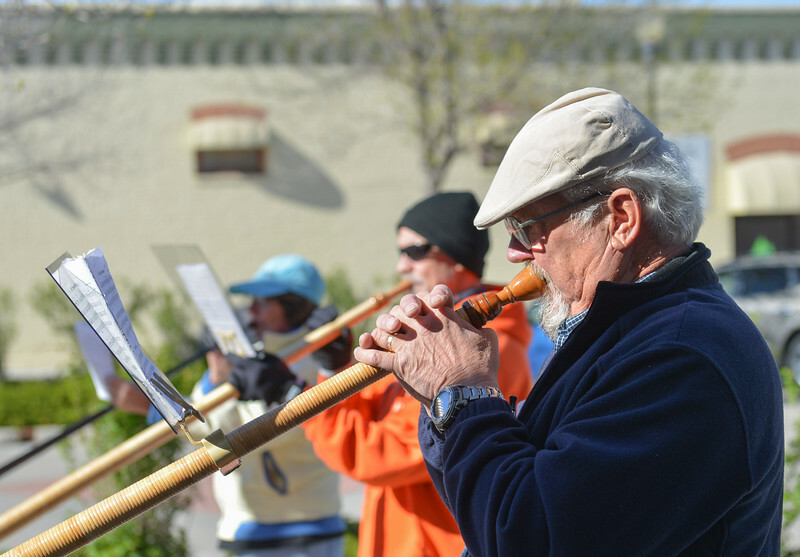 The public can enjoy the alphorn music every Saturday from 4-5, as weather permits. From left, Edre Maier, Doug Moore and Dale Hoffmann.